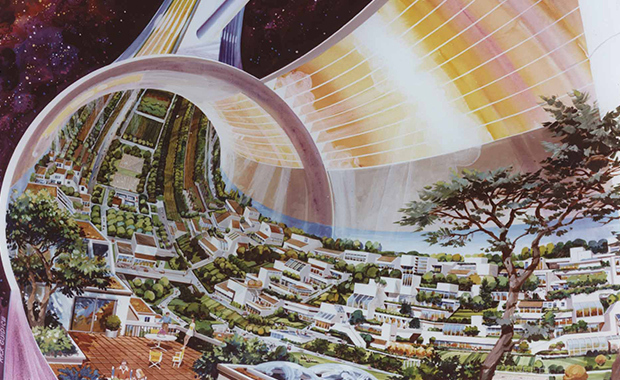 The annual NASA Space Settlement Contest has opened for entries for 2014. This annual contest, co-sponsored by NASA Ames and the National Space Society (NSS) is for all students up to 12th grade (18 years old) from anywhere in the world. The NASA Space Settlement Contest has been created to research space colonies and orbital settlements, through innovative space settlements designs developed by students. Individuals, small teams of two to five, and large teams of six or more are invited to submit designs, original research, essays, stories, models, artwork or any other orbital space settlement related materials. The National Space Society (NSS) invites all 2014 contest participants to attend the NSS 33rd annual International Space Development Conference in Los Angeles, CA 14-18 May, 2014. The single highest scoring team or individual attending will receive the NSS Bruce M. Clark, Jr. Memorial Space Settlement Award for $5,000. All participants in the 2014 NASA Space Settlement Contest will receive a certificate.